Think of it this way: when you want to build up your muscles, what do you do? You do strength and endurance training. Brain exercises basically work on the same principle; they’re a way of helping your child build up focus and endurance in order to strengthen his or her ability to concentrate, process and manage their emotions. This approach is great for kids with ADHD, especially if the exercises are easy and fun to do. It’s also very rewarding for kids when a parent serves as a coach and time keeper. In an earlier article in Empowering Parents, I wrote about 5 Brain Exercises for Kids with ADHD, and was blown away by the feedback from parents and the continued popularity of the article. 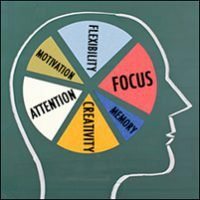 As a result, here are five more techniques that can be very effective for children and teens with ADHD. While doing these exercises together, be sure to provide reinforcement in the form of praise and encouragement. Keep a record of progress (usually this will include how fast your child can complete a task or how long they can continue a task). The following focus exercises are easy, fun and can be done using household items or inexpensive toys. 1. Dancing Sequence Games: There are various versions to select from, depending on your child’s age and what he or she likes. These games can be played on various video game platforms, including Xbox 360, Wii and Play Station 3. You will also need to purchase the dance mat that goes with your system.These games can improve concentration, processing speed, planning, sequencing and motor integration. Added bonus: they can also be a good form of aerobic exercise. Read a short story and give the child a “pop quiz” on the content. Start off by reading a paragraph or two from a story. Next, ask your child to come up with what he thinks might come next. Provide guidance to keep the content connected to the original story. You can then add your take on what happens after your child says what he thinks happens next. If possible, keep trading back and forth and see what you end up with. This helps with building working memory and concentration. It can also help in the development of logic and sense of humor. 3. Mazes: You can find mazes appropriate for the age of your child for free online. (One site that has them is krazydad.com/mazes.) Start off with easy ones and move forward. Keep track of speed and errors. Of course, don’t forget to praise improving scores! This is great for concentration, planning, sequencing, processing speed and visual-motor integration. 4. Puzzle Games: Puzzle games are very good for kids with ADHD or learning disabilities, because they help build that “brain muscle” we were talking about, as do all these exercises. There are maze games out now (like Perplexus) where players must maneuver a small marble around challenging barriers inside a transparent ball, for example. You can vary the challenges to provide a variety of games. This improves, concentration, planning, sequencing, processing speed and visual motor integration. 5. Paddle Ball: Did you ever play with one of these as a kid? I did as a child and a young teen and really enjoyed it. Basically, it’s a wooden paddle with a rubber ball attached to it with a rubber band. The equipment should easy to find at a toy store or drug store. Best to start with bouncing the ball downward and when that is mastered, switch to bouncing it upward. Keep track of how long your child can keep the ball bouncing. Encourage increasing the amount of time. For older kids, you might want to talk about what it would take to set a record to motivate them. Games like this improve concentration and motor coordination. I encourage you to give these focus exercises a try. Your child won’t even realize they’re improving brain function because they’ll be having so much fun…and so will you! 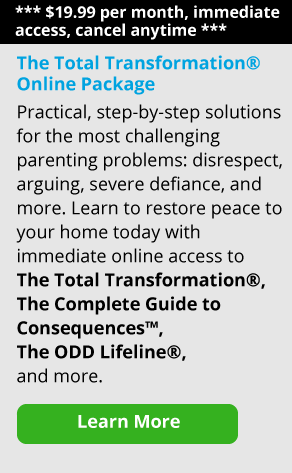 Related: Does your child with ADHD, LDs or ODD expect you to do everything for him or her? Note: While these focus exercises can be very beneficial, they are not a substitute for recommended treatment consisting of behavioral modification, appropriate school programming, and, when necessary, medication.